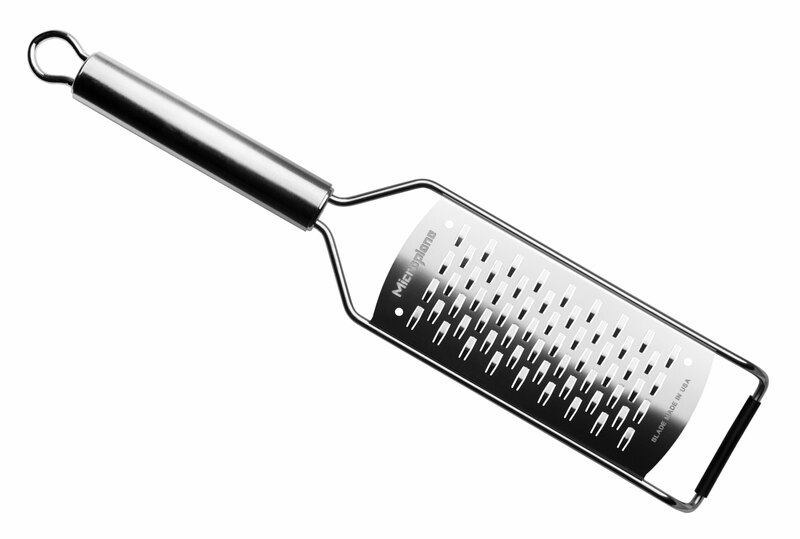 Microplane Professional Series graters are dishwasher-safe, featuring all stainless steel construction, comfortably curved handles and non-slip rubber feet. 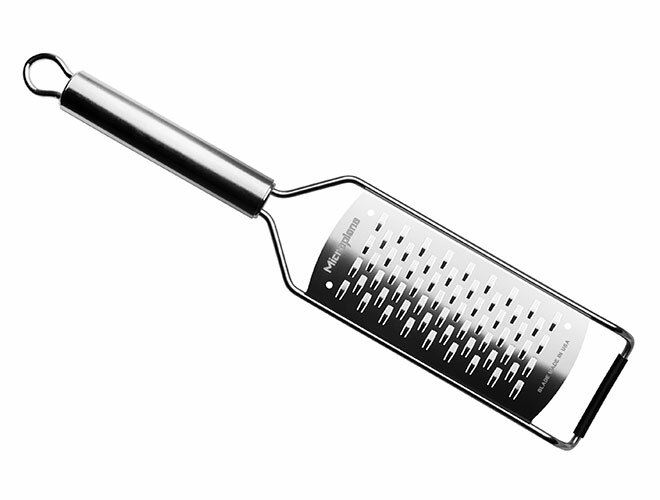 We recommend rinsing your grater in warm water immediately after each use. Remove trapped particles from the non-sharp side whenever possible. To remove trapped particles on the front, first soak the tool in warm water and then use a cleaning brush to stroke in the same direction as the teeth. Store with blade covered when not in use.